A clear sky. Low near 55F. Winds light and variable..
A clear sky. Low near 55F. Winds light and variable. 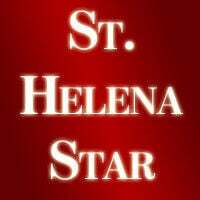 The citizens of St. Helena will soon be asked to vote yes on Measure F (June 4). The Measure F campaign will soon heat up to become a “front burner” issue. So far, the city has not seen much news or information about this election. We are a group of resident senior citizens who are working toward the goal of having the city adopt and install a ground-lease Rent Stabilization Ordinance that the City Council enacted last November. Since then, opponents of the city’s ordinance have quietly marshaled substantial outside financial and other resources to overturn the ordinance. These opponents hope that a vote by the citizens of St. Helena will repeal this important ordinance. It is important for voters to understand that the opposition will make dubious and misleading claims, all under the banner of “Save our St. Helena.” If you investigate the background of this group, you will find that it is funded and directed by a well-organized, well-financed corporate entity with its own wealthy Political Action Committee (PAC). This outside corporate entity and its PAC do not represent the interests of “our St. Helena.” Rather these outsiders represent the interests of mobile home park owners, including, in this case, Vineyard Valley, LLC, the owner of our mobile home park, to whom we pay rent for the land on which our individually-owned homes sit. Please, do not be taken in – this outside corporate entity and its PAC are not out to “Save our St. Helena” as they have no local interest in our fair city (in fact, they are headquartered in Sacramento). Moreover, the owners of the park are not local residents either. We are local. We are a grassroots effort funded entirely by small contributions made by senior citizen mobile homeowners, who are residents of Vineyard Valley, as well as by other local citizens who support our cause. We now find ourselves in the position of a much smaller “David” up against a huge “Goliath” – a large, wealthy corporate entity (with its own PAC) well-versed in the tools and strategies necessary to marshal this fight against a purely local interest. Don’t let this outside corporate entity and its PAC buy its way into this purely local issue and to decide how St. Helena is governed. Please vote 'yes' on Measure F to save the Rent Stabilization Ordinance and to secure our unique affordable senior housing option for Saint Helena.